For those of you familiar with Corpus Christi Watershed, you already know of its great value. The people behind this, specifically Jeff Ostrowski, have done tremendous work for the liturgy. A theorist, organist and conductor, Jeff Ostrowski holds his B.M. in Music Theory from the University of Kansas where he has also done post graduate work in Musicology. He resides with his young family, appropriately, in Corpus Christi, Texas. I first came across the website's Chabanel Psalms a few years ago and found them refreshing; but that is only the beginning. The resources on this page are second to none for the liturgy in either the Ordinary or Extraordinary Forms of the Roman Rite. The Vatican II Hymnal is a great contribution to the "reform of the reform" and the right execution of the Ordinary Form. However, this is something which I have personally been waiting for since it was first announced. 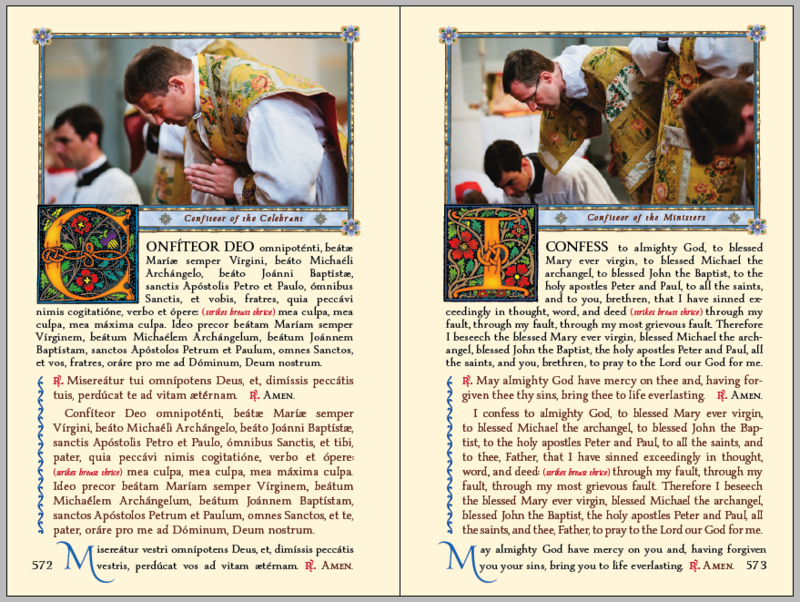 Without exaggeration, this new St. Edmund Campion Missal and Hymnal has the potential to be the greatest aid to the traditional liturgy since the Holy Father's motu proprio Summorum Pontificum and its follow-up Instruction, Universae Ecclesiae! As most people coming to the traditional Mass still don't have their own Missal, the little red missalette is prevalent and Sunday Propers are on hand-outs. This hymnal and its incredible pricing means no more handouts. All Gregorian Masses plus "ad libitums," Creeds, the Marian Antiphons, Asperges and other simple chants has the potential of finally ushering in Tra le Sollecitudini -- yes, this hymnal is that important. The people have become the "choir" but never before has it all been collected into one place, the Ordinary and Propers of the Missal (for Sundays and First Class Feasts, etc), the Sung Masses and a superb collection of hymnody that is not the schmaltz and syrupy sentimentality sung in most places which is no better than that sung in many Ordinary Masses. The custom letter art is outstandingly beautiful and a superb addition and the restored line-art is something wonderful to behold. As a Cantor, as a Schola-Master and Choir Director as President of a Society for the traditional liturgy and organizer of many Masses according to the Ancient Use of the Roman Rite and as someone who believes in the goals of St. Pius X and the true liturgical movement; I thank and congratulate Corpus Christi Watershed and Jeff Ostrowski for this great benefit to our work. This is going to be of tremendous benefit to all of us without a doubt. There is no hymn book more important to the proper development of the Extraordinary Form of the Roman Rite in parishes than the St. Edmund Campion Missal and Hymnal. 1. A special Organ Accompaniment Book is being prepared with harmonizations for all the hymns, accompaniments for the simple chants, and High and Low key accompaniments to the entire Kyriale. This book will be available in early 2013. 2. 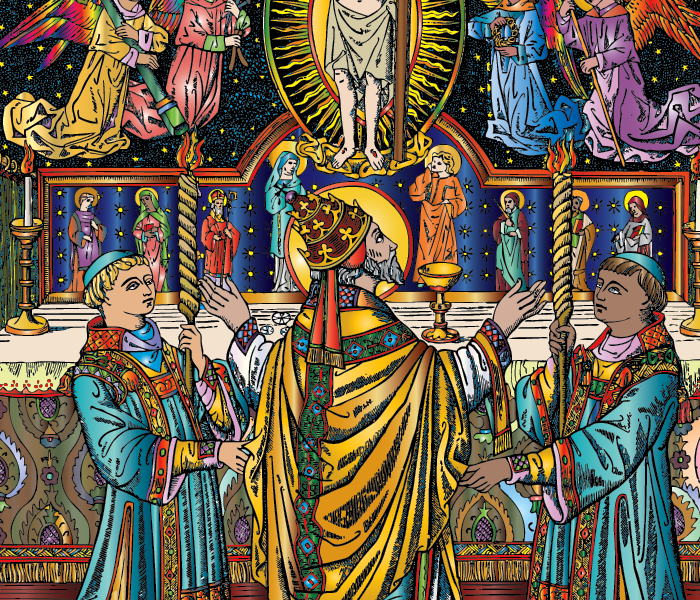 A special DVD with more than 400 pieces of traditional Catholic artwork from the Missal is in production. More information will be forthcoming. 3. It was difficult to select the devotional prayers due to the great number available, and we hope the prayers we included by St. Ambrose, St. Augustine, St. Thomas Aquinas, St. Bonaventure, St. Ignatius Loyola, and Servant of God Fulton Sheen will suffice. 4. At a later date, we plan on releasing special “St. Edmund Campion” booklets to supplement the Missal. 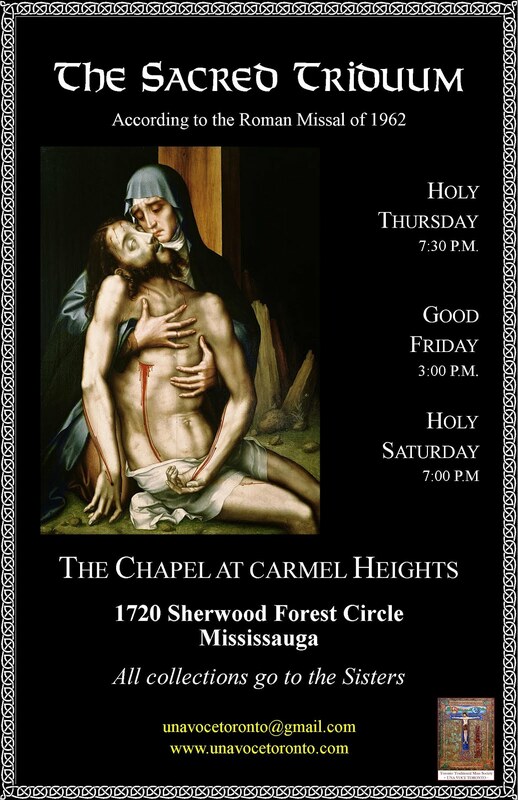 One will be for Stations of the Cross, another for Traditional Baptisms. Information will be forthcoming. 5. We plan to make our book available on Amazon.com at a future date. 6. 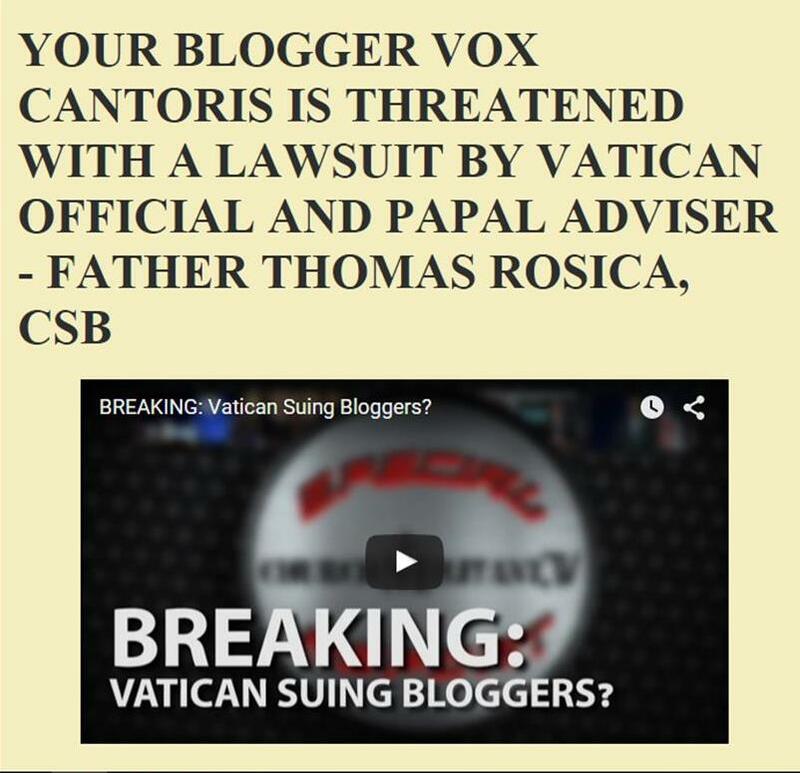 Photographs made possible by priests and seminarians of the Priestly Fraternity of St. Peter. All vestments used were 200+ years old. 7. We use the elegant, literal translations of Fr. Lasance — completely re-typeset, not scanned! 8. The back cover biography of St. Edmund Campion was composed by Dr. Gerard Kilroy, the world’s leading expert on the life and works of St. Edmund Campion. 9. One of the clerics who appears in the Mass pictures is a relative of St. Antoine Daniel [url], a special patron of CCW’s work with the Gregorian Kyriale. The selection of a saint who died defending the Mass is highly appropriate. Beautiful.